“Akaneiro: Demon Hunters”, un hack’n’slash in arrivo per Android, sanerà il senso di vuoto lasciato da Dungeon Hunter III? “Akaneiro: Demon Hunters” – First Gameplay Video and Beta Signups Begin! Akaneiro : un Beat’em all chez Spicy Horse ? And if you’ve not yet had a chance, head over to Kongregate and see what all the noise is about! 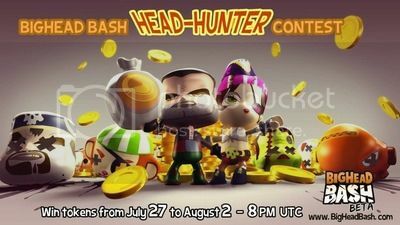 You can join in the Open Beta right now: BigHead BASH on Kongregate!